There was no doubt who they came to see. 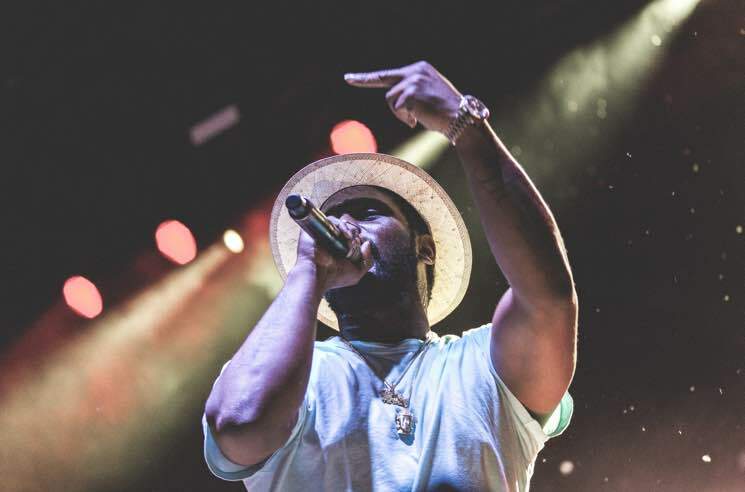 Friday's NXNE crowd was at its deepest and hypest for headliner ScHoolboy Q. The former Hoover Crip tested his audience early by reaching for cuts from his early albums Setbacks and Habits & Contradictions — and the crowd passed with flying colours. Love for TDE was strong. "Hands on the Wheel," arguably Q's best song, was rolled out early and the polished L.A. street rap of 2014's Oxymoron made up the bulk of the show with tracks like "Gangasta," "Collard Greens," "Studio" and "Yay Yay." Q's guest verse from A$AP Ferg's "Work" was a nice touch, and it was cool to hear Q's new single, the Kanye-featuring "THat Part" live before his new Blank Face LP comes out this summer. Still, there were few frills or surprises. The DJ-backed performance was bare bones and economical, but Schoolboy has a knack for picking thick beats (like the glorious "Man of the Year") that sound incredible live and loud, especially with the Toronto skyline alight in the background.